The Obama administration averted a potentially vicious lobbying battle over the medical benefits insurers must cover under the Patient Protection and Affordable Care Act (ACA) when it handed the decision to the states. The ruling gives states the power to set coverage levels for the policies uninsured people will purchase through exchanges, starting in 2014. Business groups will make a case for a narrow set of benefits to save costs while consumer advocates want expanded coverage. 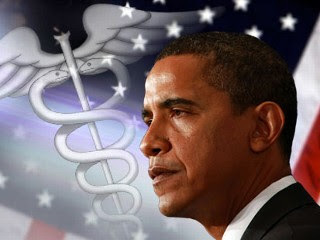 The decision shifts the issue to the states and away from the White House, and lets President Barack Obama say he’s giving governors and legislatures greater flexibility to confront rising medical costs and control changes the 2010 healthcare law is bringing to insurance markets. Under the revised guidelines, state legislature must either set coverage levels in line with widely subscribed small- business plans in their communities, or tie them to benefits included in their state employees’ health plan, federal plans or the largest commercial managed-care plan in the state. Generally, health plans for small businesses, state employees and federal workers “cover similar services,” including doctors’ visits, hospitalization and outpatient mental health, according to a study conducted by HHS. Discrepancies arise in areas such as prescription drugs. While they’re covered as a basic benefit by all government employee plans, only 84 percent of small business plans cover them. Others require additional premiums. Small business plans also rarely cover dental care, acupuncture, bariatric surgery and hearing aids, unless states require it. According to Forbes magazine’s sba.com column, “At a first glance, this seems like it might be a step in the right direction for individuals and small business owners. However, that is not necessarily the case. It seems as though the new idea comes with a wide array of new problems. First, while the new policy will give states flexibility, it imposes more benefit mandates. The new policy lists 10 ‘essential health benefits’ that the state MUST provide. Some of these essential benefits are prescription drugs, preventative care, doctor and hospital services, and maternity care. The new policy allows the states to designate a state-wide ‘benchmark’ health insurance plan, setting the minimum standard of care. All insurers would then have the ability to change their insurance plans as long as the coverage provided benefits of the same or greater value. The new ‘more flexible’ plan still seems very rigid and regimented. Additionally, the new plan would lead to higher-cost insurance premiums, not lower. “Another long-standing issue with Obama’s idea is that individuals are not clear on what services and benefits are expected to be provided as a minimum. Instead of clearing up this confusion and spelling out what exactly would be required, Obama has simply put that responsibility on the states – giving them the ‘flexibility’ to design their plans. Despite strong opposition from some member doctors, the American Medical Association (AMA) supports a key element of the Patient Protection and Affordable Care Act (ACA) that requires Americans to buy health insurance. By a 2 — 1 margin, the AMA’s policy-making House of Delegates voted to continue its support of the individual mandate, saying such responsibility for Americans who can afford to buy coverage was the best option to expand benefits to people who are currently uninsured. The results of the vote were 326 in favor and 165 opposed. Without an individual mandate, people will not purchase health insurance until they are sick; that would lead to a spike in premiums for all. “The AMA’s policy supporting individual responsibility has bipartisan roots, helps Americans get the care they need when they need it and ends cost shifting from those who are uninsured to those who are insured,” said AMA president Dr. Cecil Wilson, a Winter Park, FL. internist. “Important insurance market reforms, such as an end to denials based on pre-existing conditions, are only possible by having broad participation in the health insurance market. The AMA reviewed alternatives and concluded that any approach to covering the uninsured that is in line with AMA policy cannot be fully successful in covering the uninsured without individual responsibility for health insurance,” Wilson noted. Wilson criticized people who can afford health insurance but refuse to purchase it, “who then arrive in the emergency room having fallen off of their motorcycle – and they did not wear a helmet – and they end up with major life-threatening injuries, the treatment for which very few people could afford. And the result of that is that all of pay for that, private as well as taxpayers.” Those are the people who cause those who have health coverage to pay premiums that are “$1,000 a year more than they otherwise would be.” The reaffirmation vote stipulates that for individuals and families who cannot afford health coverage, there would be government tax subsidies or credits inversely proportional to income. When asked if the AMA might file an amicus brief to support the Obama administration’s fight to block challenges, Wilson said that is unlikely. Several physicians strongly opposed the mandate, referring to constitutionality challenges, freedom issues, and the opposition of physicians and numerous medical organizations. The AMA admits to having lost 12,000 members since 2009, many because of their endorsement of ACA. “The AMA has turned 180 degrees since the 1950s, when it held that ‘the voluntary way is the American way,'” said Jane Orient, M.D., executive director of the Association of American Physicians and Surgeons (AAPS). “Now it has adopted the ‘progressive’ left-wing stance of calling for compulsory purchase of government-prescribed insurance.” People will no longer be able to choose how to pay their medical bills. Many might opt for the most affordable way: self-payment of most bills, with low-cost, high-deductible insurance for the rare catastrophe. “But that choice would deprive the government’s favored plans of some fat premiums,” Dr. Orient said. With 250,000 of the nation’s physicians comprising its membership, the influential AMA has historically been opposed to a bigger government role in healthcare. Physicians who oppose the ACA attempted to convince colleagues that the AMA should change its position. Some delegates have blamed the Association’s support of the individual mandate for a loss of membership in the AMA in their states. “I believe that each state, working with the population it has and the specific problems it has, can craft a solution that works better for that state than perhaps the one next door,” said Michael Greene, M.D., a delegate with the Medical Association of Georgia. Dr. Greene, a family physician, supported the amendment. The score on legal challenges to the Affordable Care and Patient Protection Act is now 3 – 2 – with the Obama administration and healthcare reform in the lead. Nor surprisingly, the three judges who have voted to uphold the law are Democratic appointees, while those who struck down the law are Republican appointees. Nearly one year after President Obama signed the healthcare reform bill, more than half of the states have challenged the legislation in the courts. In comments filed in a Florida federal court, representatives of the 26 states that successfully challenged the healthcare reform law asked the judge to halt the healthcare law’s implementation, according to The Hill. The comments are a response to the Obama administration’s request that U.S. District Judge Roger Vinson explain his January 31 ruling that the healthcare reform law is unconstitutional. Of five federal court rulings on the reform law so far, Judge Vinson’s is the only one that strikes down the entire law. Additionally, Florida and Alaska have declared the reform law effectively dead unless an appellate court reverses the decision. Court comments by the 26 states – which were backed by the National Federation of Independent Business — said the Obama administration should have requested a stay, pending appeal, rather than request a clarification. “If the Government was not prepared to comply with the Court’s judgment, the proper and respectful course would have been to seek an immediate stay, not an untimely and unorthodox motion to clarify,” the plaintiffs wrote. As Congress debated healthcare reform, the number of Americans who lack healthcare insurance climbed approximately 9.4 percent to 50.7 million people in 2009. According to U.S. Census Bureau statistics, 16.7 percent of Americans have no healthcare insurance compared with 15.4 percent — or 46.3 million people — the previous year. During the same time period, the poverty rate in the United States rose to 14.3 percent, the highest level since 1994. The 2008 rate was just 13.2 percent. This means that 44 million Americans – one in seven people – are living in poverty, an increase of four million over the previous year. Children were especially hard hit, with one in five under the age 18 living in poverty, according to the Census Bureau. “This is the highest number of uninsured since 1987, the first year that comparable uninsured data was collected,” said David Johnson, chief of the Census Bureau’s Household Economic Statistics Division. The report includes conclusions from the 2010 Current Population Survey Annual Social and Economic Supplement. Census Bureau statistics reveal that the number of Americans covered by private health insurance fell from 201 million to 194.5 million in 2009 compared with the previous year. Employment-based health insurance fell from 176.3 million covered to 169.7 million. Meanwhile, Americans with government health insurance rose to 93.2 million from 87.4 million. Some of the nation’s largest insurers are in open rebellion against a provision contained in the new healthcare reform law that is already in effect. The shot across the White House’s bow is a decision by several insurers to stop selling child-only policies instead of complying with the law that blocks them from turning away kids with pre-existing conditions. 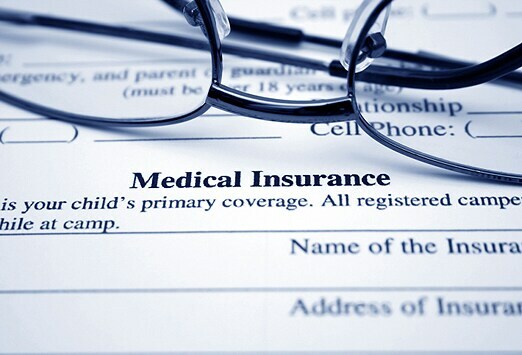 Anthem Blue Cross, Aetna, Inc., and others are refusing to sell the policies in states such as California, Illinois, Florida and Connecticut – even though the law requires that insurers cover children under 19 even if they have a history of illness. Approximately 500,000 children nationally are impacted by this action. The insurers claim that the new requirement will result in unforeseen costs related to covering eligible children. The scenario they envision is that parents might buy policies for their children only after they get sick, creating a surplus of kids who suddenly need insurance coverage. The decision by some of the big insurers to abandon this niche marketplace means that just a few firms will be forced to share what could be an enormous financial burden. The good news is that relatively few child-only policies are sold. There’s one element of healthcare reform legislation on which many liberals and conservatives agree – the mandate. Both the Senate and House versions of the healthcare reform bill contain a mandate requiring that all Americans be insured – whether it is through their job, the government or the private market. The reasoning behind the mandate reflects the basic concept that underlies all insurance. A large pool of people pays fairly small premiums to create a fund large enough to take care of people who need help. The idea that people of all ages participate is of particular importance in healthcare, because costly medical conditions are found primarily in Americans who are middle-aged or older. When younger and healthier people don’t have insurance, the others pay higher premiums. The insurance industry has a totally different reason for disliking the mandate – they think it’s too mild. Robert Zirkelbach, spokesman for America’s Health Insurance Plans, believes that “We think there’s more that (the bill) needs to do. There’s still a strong incentive for people to wait until they are sick to purchase insurance.” Zirkelbach is referring to one of the legislation’s hallmark features – the requirement that insurers treat those with pre-existing conditions the same as all other patients and bans denying coverage. Senator Tom Harkin (D-IA), the liberal who succeeded Senator Ted Kennedy as chairman of the Senate Health Committee, is predicting that Congress will pass healthcare reform with a public option before year’s end. President Obama is championing an insurance marketplace where people who lack employer-provided healthcare can purchase coverage. This exchange would encompass private insurance companies and a public option to create competition aimed at driving down high premium prices. The majority of Republicans and some conservative Blue Dog Democrats oppose the public option, claiming it would have an unfair competitive advantage by offering lower prices. They reason that this would drive private insurers out of the market. Because of Senate procedural rules, Democrats need 60 votes to avoid a Republican filibuster to delay the legislation. With Massachusetts Governor Deval Patrick’s appointment of Paul Kirk to fill Ted Kennedy’s Senate seat until next January’s special election, the Democrats now have that bullet-proof majority – assuming Harkin can bring the Blue Dogs into line. Where Is the Republicans’ Healthcare Reform Plan? Amidst all the commotion at town hall meetings and attacks on President Barack Obama’s healthcare reform guidelines, the question arises: where is the Republican Party’s plan? The answer is that Republican Congressional leaders chose not to draft a bill encapsulating their own vision. A “Republican Solutions Handbook” created by the House Republican Conference possibly has the most comprehensive summary of GOP healthcare proposals. The single-page document offers plans to limit medical malpractice lawsuits and dedicate more resources to stopping “waste, fraud and abuse” in Medicare and Medicaid. Proposed tax cuts would go to workers without employer-provided health plans and to low-income people to help them buy private insurance.